Rafay comes to Chicagoland from a family of international real estate practitioners, providing him with a dedicated understanding of the effect the global and domestic economy has on the Chicagoland market. Rafay graduated from DePaul University in Chicago with degrees in Business Administration and Finance and holds a six sigma certification. Rafay easily translated his personal commitment for excellence into the real estate industry after 7 years of a finance and banking background, making him the 'go to' professional. 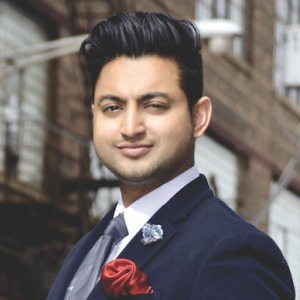 Rafay is known for his magnetic personality, ethical practices, pocket squares, and a wide range of real estate knowledge, maintaining a high profile clientele that includes some of the most successful developers, business people, and celebrities. Whether you are an experienced investor, seller, or a first time home buyer, Rafay Qamar will help you navigate through every step of the way. "Nothing is more exciting to me than the gratifying feeling I get from helping people meet their real estate needs. You can count on me to always negotiate the best deal for you and do what's in your best interest. I pride myself on being honest, trustworthy, and knowledgeable in the real estate market. I know how important it is to find your dream home or get the best offer for your property. Therefore, I will make it my mission and responsibility to help you achieve those goals."